This is the first in a series aimed mainly at players returning for their final year of uni ultimate – originally an idea for one post, it turned into a series when I realised that I wanted to set the backdrop properly, and that there’s a ton of stuff going on in your last year(s). Knuckle Hungry, Planes Mistaken for Stars. This, for me, sums up my first ‘round’ of university ultimate as an undergraduate, and a lot of the feelings I have as a post-grad player, with the “end” rapidly approaching. As an undergraduate player, I was obsessed with ultimate in a particular way: determined to be less terrible than I was (and I was pretty terrible at first! ), desperate to understand as much of the game as possible, desperate to play as much of the game as possible. I think this is a pretty defining feature for many of us in our first few years – it is about us and us getting better as players. I captained in my second year, which felt like a pretty giant responsibility – making sure we recruited enough players to survive, while trying to develop those we had already (which wasn’t many). 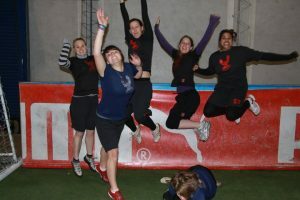 We took 7 players to indoor regionals, and that was pretty much our entire women’s team. It was a tough year to captain. Looking back, I am a little saddened that captaining in my second year didn’t give me a better appreciation of the importance of ‘development’ in my third. 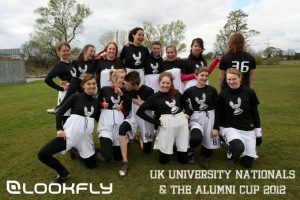 My last year of university ultimate, and I was concerned with how we would do as a team that year, rather than with who would replace our four big players when they left at the end of the year.  Doing a masters was pretty important for me academically, but in ultimate terms, I began to view it as a second chance – a chance to make amends for the short-sightedness of my time as an undergraduate player. I struggled to have enough time in my masters year to put in consistent coaching hours, but since then have done my best to ‘make amends’. One of the reasons we won nationals every other year for so long (2007-2011) was that we were almost always planning for ‘next year’. I’m here ‘next year’, but I can’t guarantee I will be the year after. As I get closer to the end of my university time, I realise that this year, I don’t just need to plan as a coach for next year, but the year after that also. Without meaning to be a big-headed ****, I know I’m leaving behind some big throwing away shoes for people to step into, and more importantly (I think) some big tactical shoes. It is going to take more than one season for our team to work out how to fill them – so we need to be starting the whole process now. I’ve had some wobbles with coaching motivation recently – weighing developing the team against developing as a player and the benefits of each is a tricky one – but the more I think about leaving Sussex, the more I realise that I would rather leave a fantastic team behind, than leave as a better player. Possibly my favourite fact about our women’s team is that I remain the only captain of the last six years not to have captained a nationals winning team. And that’s ok with me, provided I leave our future women’s captains with the tools they need to keep winning, long after I’m gone. Paying for the new BU(1) kit.